Fighting for the consumer’s wallet share is a ongoing battle when innovation and creativity rule the day. In today’s competitive world, not having the right package design can cost a retail manufacturer millions of dollars a year in lost sales. 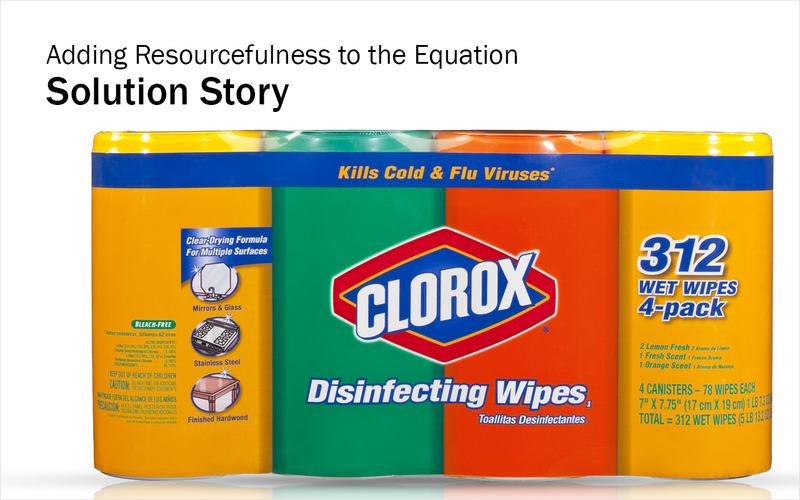 When Clorox was looking for ways to increase sales on their line of retail wipes in a canister, Harder answered the call. Clorox multi pack used a corrugated bottom tray with an overwrap in clear shrink film that held the pack together. Harder’s packaging specialists were able to introduce a new approach of printed shrink film that created a larger advertising billboard for the Clorox marketing message while eliminating the corrugated bottom tray.